Scientists are looking into a link between women, diet sodas, and cardiovascular disease that is both problematic and shocking. The artificial sweeteners in diet sodas are causing people to gain weight. There is still a lot to be learned about how artificial sweeteners affect the human body. There have been some recent studies concerning women who drink diet drinks and how they affect their hearts as well as their weight. Women who drank at least two diet sodas per day 8.5 percent of these women experienced cardiovascular death. Women who drank five to seven diet sodas per week 6.9 percent of these women experienced cardiovascular death. Women who drank one to four diet sodas per week, 6.8 percent of these women experienced cardiovascular death. Women who drank zero to three diet sodas per month, 7.2 percent of these women experienced cardiovascular death. Women who drank at least two diet drinks per day were at a 30 percent higher risk for a cardiovascular event and 50 percent more likely to die from a related disease. Cardiovascular health events include congestive heart failure, coronary heart disease, coronary revascularization procedure, heart attack, peripheral arterial disease, and ischemic stroke, according to the study. This could mean there is a possible link between the chemistry of diet soda in a woman’s metabolism and this is problematic as cardiovascular disease has come to the forefront concerning artificial sweeteners and it is shocking the power those chemicals truly contain. A Fellow in cardiovascular disease at the University of Iowa Hospitals and Clinics, as well as, head researcher for the study, Dr. Vyas, says that diet drinks can be linked to metabolic syndrome. Metabolic syndrome is not a disease, but it is a list of risk factors that includes, high blood sugar, high blood pressure, abdominal fat, and unhealthy cholesterol levels. In 2002, a scientific review was conducted by the European Food Safety Authority, and it was discovered that aspartame from diet sodas as well as, any other artificial sweetener, can cause a range of serious illnesses, including birth defects and cancer. 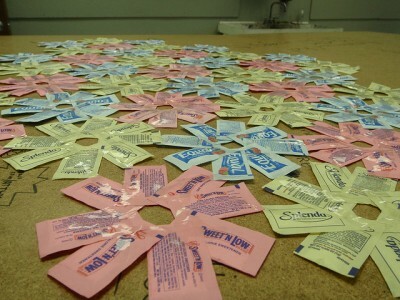 Saccharin, Sucralose, and other artificial sweeteners are also linked to cancer. Aspartame can also be linked to lymphoma and leukemia. This is a huge and terrifying discovery. The results of the new study showed that one 12-fl oz. of diet soda a day can lead to a 42 percent higher leukemia risk in men and women, a 102 percent higher multiple myeloma risk in men and a 31 percent higher non-Hodgkin lymphoma risk in men. Even though diet sodas say they are the better and healthier alternative and are totally safe, it is clear from the study conducted by the University of Iowa that diet sodas can be deadly for women to consume. However, researchers cannot say with any amount of certainty that diet soda is directly linked to cardiovascular disease, only that there is an association between diet sodas and cardiovascular issues. This should prompt scientists to conduct more research. Women who drink diet sodas heavily could be more likely to experience blood clots and cardiovascular problems than those who rarely or never consume diet beverages, according to the large study that was conducted in 2014. The findings are from a study of 60,000 women who were postmenopausal, healthy, and lived in the United States. Participants of the study had to estimate how many artificially sweetened diet drinks they had every day over the past three months. Diet sodas and low-calorie fruit drinks were also counted in the daily totals. The women whose average age was 63 were divided into four groups based on their overall consumption. The heaviest consumers being the ones that drank two or more diet drinks per day. The next group had five to seven diet sodas a week. The next group only consumed one to four drinks a week. The last group rarely or never drank diet sodas. Their consumption was zero to three a month. Nine years later, researchers determined how many women had experienced strokes, heart attacks, and/or blood clots that threatened the legs, arms, organs, or head, as well as incidences of strokes, heart failure, and surgery to re-open clogged arteries or death due to heart problems. The women who consumed two or more diet drinks a day were at a 30 percent higher risk of having heart trouble during the study than those who only drank three or less a month. Approximately nine percent of the women in the study who drank two or more a day experienced a serious heart episode, compared to the seven percent of the women who rarely or never drank artificially sweetened drinks. The study concluded that women who drank two or more diet drinks a day had a higher incidence of diabetes, smoking, obesity, and hypertension, which are all risk factors for heart disease. However, it is impossible to say that their cardiovascular health conditions are in direct relation to their diet soda consumption. Researchers adjusted the numbers to account for the differences and other relevant factors including calorie intake and exercise. However, according to an expert, this study is not a reason to give up diet soda, yet. According to Marcelle Pick, OB/GYN, NP, diet sodas may be free of calories and sugar, but they are filled with other health-draining chemicals, such as caffeine, sodium, artificial sweeteners, and phosphoric acid. 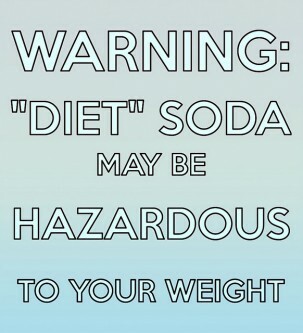 There are other studies that reveal diet sodas can cause weight gain. Instead of trading regular soda for diet products, trade it in for water, which the body needs and can always use anyway. Pick says that diet sodas are misleading. If a woman’s goal is to lose weight, diet sodas are sabotaging their efforts. The default beverage for anyone trying to lose weight should be water. Diet sodas can have positive short-term uses for people who are struggling with a sugar addiction. However, Pick says water is still the best option. There has been a variety of studies on the subject, but most of the studies show that diet soda can cause people to gain even more weight. Americans purchase and drink large amounts of soda. 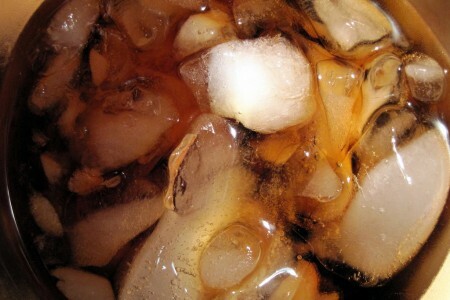 Beverage Digest reported that the sale of soda, both diet and regular, was 10.2 billion cases in 2005. 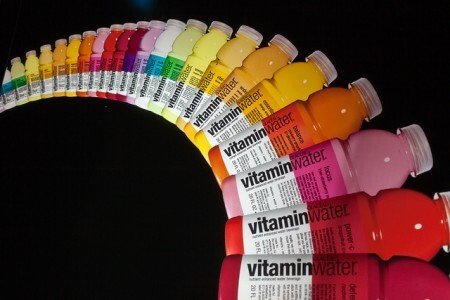 That is 828 eight-ounce servings a year, or two-and-a-half servings per day for every woman, man, and child. The 2005 number is down from 849 last year. This change, however, was primarily due to the rise in the consumption of energy drinks. Soda is a mainstay for the overall population, according to Beverage Digest. “America is the number-one consumer of artificial sweeteners in the world,” according to Beverage Digest. When it comes to artificial sweeteners there are a variety of viewpoints, however, a large number of scientists agree that artificial sweeteners could interact with how the body determines when it is satisfied. Currently, experts have been exploring the possibility that artificial sweeteners can confuse the taste buds and all those brain measures of saturation that determines what is going to be eaten. Sharon P. Fowler, MPH and her colleagues at the University of Texas Health Science Center in San Antonio have recently finished compiling data that gave surprising results. Fowler and the team studied over 1500 people between the ages of 25 and 64 who drank regular and diet sodas. A correlation was made between the consumption of all sodas and obesity. What was shocking to Fowler was that if the team only focused on the people who drank diet sodas, the obesity risk was higher. She learned that for each can of diet soda consumed a day, the risk of obesity was increased by 41 percent. Different studies have found several variations, but there is a pattern. There has been data that indicates that the body can predict the calorie intake of foods by their texture and taste. Artificial sweeteners cause the body to send the right sweet signals to the brain, but the sugar does not get delivered. Experts are not saying that diet sodas themselves are creating weight gain. However, the connection is being looked into further. What is currently being explored is that when something that appears to be sweet and signals other body parts that glucose sugars are coming, it sets people up for cravings and people eventually give into that craving. In more simple terms, ingesting artificial sweeteners that seem real to the body can set people up to consume more food later. This belief came from a study conducted on rats at Purdue University. Susan Swithers and Terry Davidson are professors that discovered that rats fed artificial sweeteners regularly ate more than the group that was fed high-calorie sweeteners. Moreover, there are times when people will choose the diet soda in order to give themselves permission to eat something with more calories later. The 150 calories and nine teaspoons of sugar foregone when choosing a diet soda are replaced with additives so the drink will still taste good and provide the extra boost people generally seek in soda. Diet sodas will cause the consumer to miss out on the few nutrients provided by regular soda the body might find useful if consumed in reasonable amounts. The body also ingests a long list of “suspicious” ingredients that work against any effort to maintain a healthy balance. In the forefront of these suspicious ingredients is caffeine. Most diet sodas have caffeine added says Pick. The extra caffeine does provide a boost that is sugar-like, but the caffeine buzz is not providing anything your body needs. Also with the extra caffeine comes numerous complications and addiction, which includes chronic anxiety, fatigue, hormonal imbalance, and insomnia are at the top of the list. Caffeine is also a diuretic, therefore a cold soda does not hydrate the body or quench the thirst. Sodium increases thirst and the caffeine causes the body to lose fluid, according to Pick. The carbonation contains calcium-leaching phosphoric acid. A large amount of acid in the body can change the pH balance to an unhealthy level. Healthy detoxification requires a slight alkaline environment. A lot of acidity sabotages the detoxification process, according to Pick. Those who may be wary of believing Pick, there is an experiment anyone can try. First, fill a glass with soda, it does not matter if it is regular or diet. Drop a nail into the glass of soda. Watch it for one to two hours. The soda will eat the nail in a shockingly short period of time. Now Pick asks people to think about what it could do to stomach tissue. According to Eastern medicine, the over consumption of diet soda is extremely corrosive to the GI tract and it is also the cause of many digestive disorders, according to Pick. Pick says that she only allows for the short-term of the consumption of diet soda when it is necessary to help someone who struggles with a sugar addiction. The only other time Pick would condone drinking diet soda is if someone is in an area where the water is not safe to drink or when someone is sick to their stomach. Pick says that the old wives tale is true concerning drinking Coke and ginger ale will help ease nausea. Pick prefers the use of natural sugars over refined sugar and artificial sweeteners, such as the stevia plant, because they are metabolized. Pick has a positive attitude towards polyalcohol sugar xylitol, which is also referred to as wood or birch sugar. It is popular in Europe and Asia, as well as among diabetics. It only has three-calories per teaspoon, but it is sweeter so less is used. Moreover, this product also does not spike the blood sugar of a diabetic and it has some nutritive qualities similar to maple syrup. Whether or not there is a definite link between diet soda in a woman’s metabolic system and cardiovascular disease, there have been some shocking results in studies so far and if scientists are unable to determine soon how the artificial sweeteners are affecting women and why, this problematic issue will continue to linger. Women to Women: Diet Soda -How Healthy Is It? Healthy Day: Can Diet Soft Drinks Contribute to Heart Trouble in Women? 5 Responses to "Diet Sodas Linked to Cardiovascular Disease in Women"
Pingback: Women Beware, Diet Soda Can Kill You!